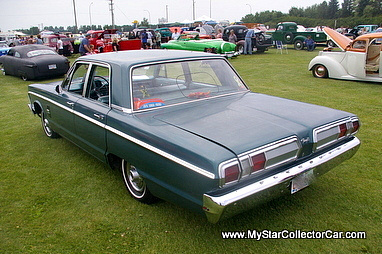 A 1966 Plymouth Fury four-door sedan has a strong family link for its current owner because this car belonged to his grandparents. Tim Chorney has decided to keep the family heirloom after it sat in his parents’ driveway for many years following the passing of his granddad. The car had enjoyed a winter-free life in Saskatchewan were winter is around so long it should be forced to pay half the monthly heating bills from October to May in that part of Canada. A long Canadian prairie winter can crush your spirit and beat the living hell out of your car. Tim’s grandfather was clearly a merciful man who decided to prolong the life of his Fury when he gave it the winter off every year. The result was a low mileage (52,000 original miles) car with a youthful appearance that belies the 47 years that have passed since it left the factory. Tim has left a minor scrape that came with the car and was a result of an errant trip down his grandparent’s long and narrow driveway. The errant driver was likely his grandfather but we did not push too hard for an answer to this question. Suffice to say the scrape will not be fixed anytime soon because it is part of the family legacy in Tim’s eyes. 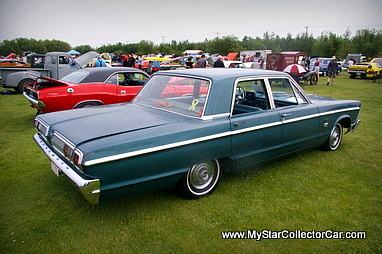 The 1966 Plymouth Fury had a stylish appeal in its hardtop and convertible form. It was a good example of mid-60s style in the full size niche market of the era and it wears the years very well in the 21st century. 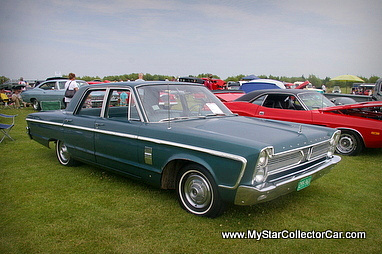 The 1966 Plymouth Fury sedans and station wagons were the functional versions of the model options available to consumers that year. 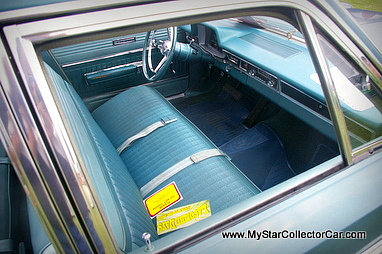 The sedans were true six passenger vehicles in 1966 and could even be six passenger vehicles in today’s super-sized world of North Americans. 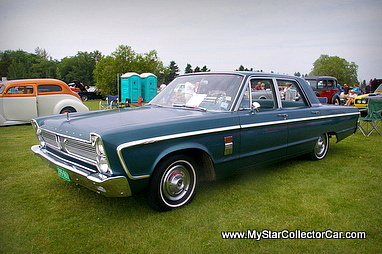 They were big cars with big practical function on the family front and many of us from the large herd of Baby Boomers were young passengers in these types of vehicles. We did not get a head count from Tim about the actual numbers in his grandparents’ immediate family, but we could be certain that one of the parents was very familiar with the car from their childhood. The only question would be how many of them were in the car on family trips. Cars like Tim’s are not common at most shows because they usually are owned by lucky people who were fortunate enough to hold onto a family legacy with these cars. 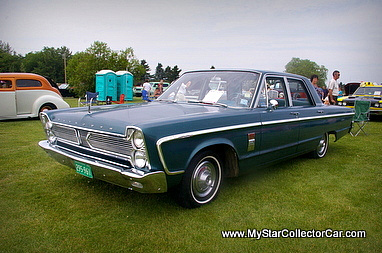 Here’s another MSCC story about a family legacy ’66 Fury.